Games are fun, interesting and competitive. They can gain people’s attention extremely fast and are designed based on the preference and interests of the TG. Thus, it only makes perfect sense to gamify your events. 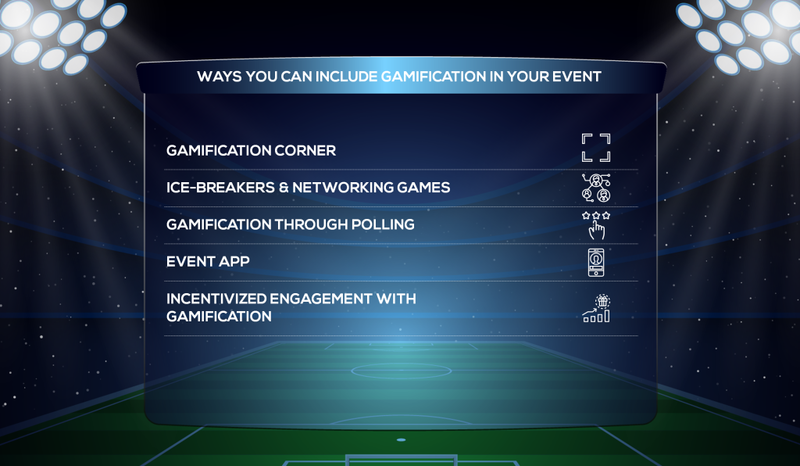 Gamification is a splendid way to boost audience interaction and overall engagement in the event. 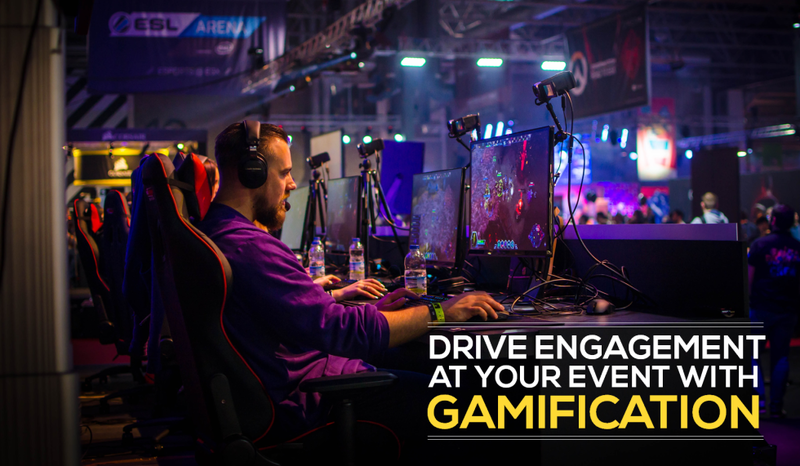 With gamification, you can educate your audience in a really fun and enjoyable way that increases their interest and excitement for the event. Gamification Corner: A simple gaming corner can be an interesting way to let your attendees enjoy and relax during the small breaks between your events. Games like chess or video games can be easily incorporated within a tight budget event. But if you have a bigger budget, you should definitely include VR and AI driven games that will provide an extra edge and make your event spectacular. Ice-Breakers and Networking Games: Remember, how in school we were made to play games with our new batch mates so that we could familiarise ourselves with them? The same logic applies when planning games and gaming zones for events. An interesting gaming platform works as an icebreaker that creates excitement and increases attendee engagement. Including games like a rapid fire round or trivia questions can be a fun way to inform your delegates about important details about your event and in-turn to learn about their likes and interests. Gamification through Polling: Polls are a great way to receive an absolutely true and precise audience feedback. They could be based on anything, ranging from ‘how were the sessions of the event’, ‘how were the facilities’, or ‘how was the registration process’, etc. The delegates can select any one option from the ones provided and the results of the polls help you understand where the event was a hit and where it flopped. Polls encourage audience participation and are a convenient way of gaining feedback. Event App: An event app acts as a platform for all online communication. Event companies create an app that is extremely user-friendly and can boost audience engagement. The best way to make your attendees like and use your event app is through games. Entertaining and addictive games that relate to your events like puzzles or candy crush hold the delegates attention and keep them on your app for a longer time. If your budget is big, you can create a much-advanced app including augmented reality games which are a great way of networking.